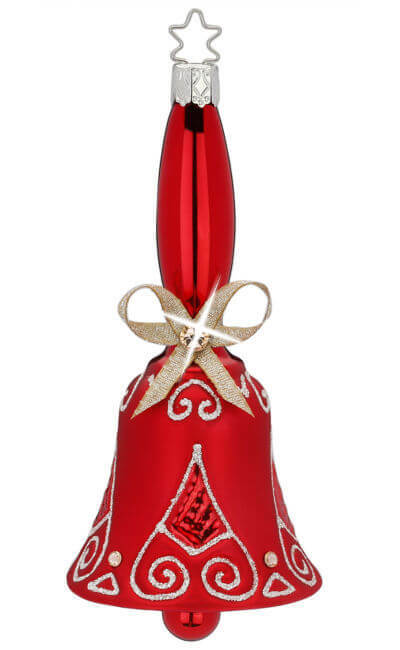 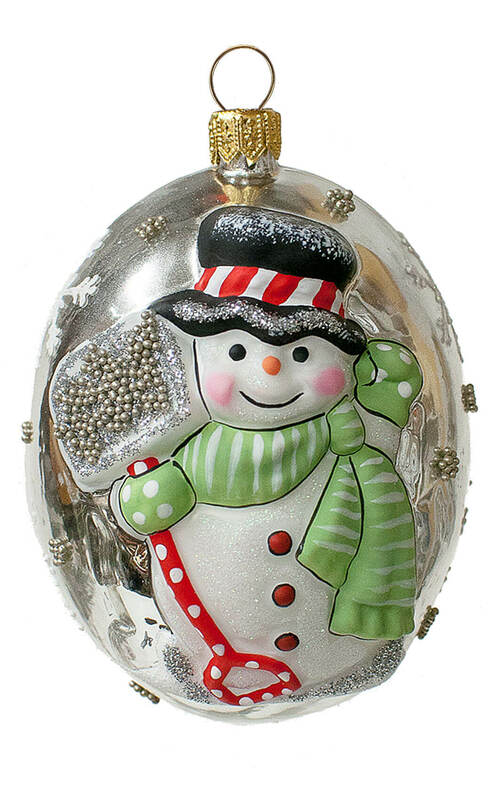 Individually wrapped in special shred in the exclusive Vaillancourt Jingle Ball® gift box at no extra charge. 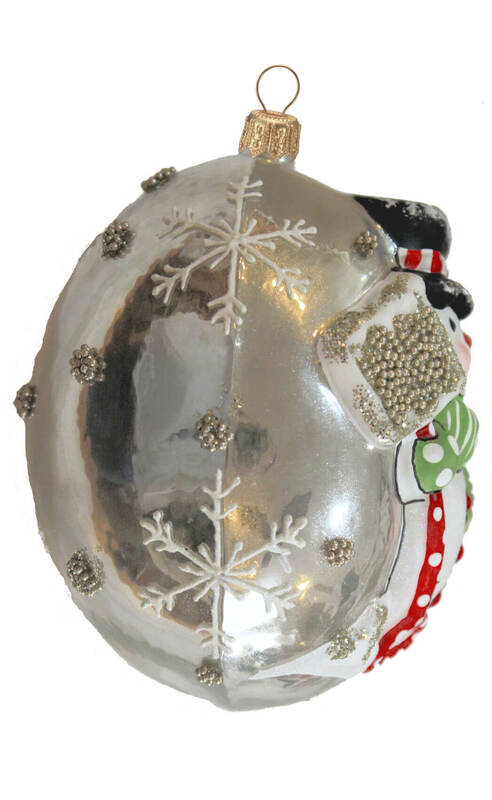 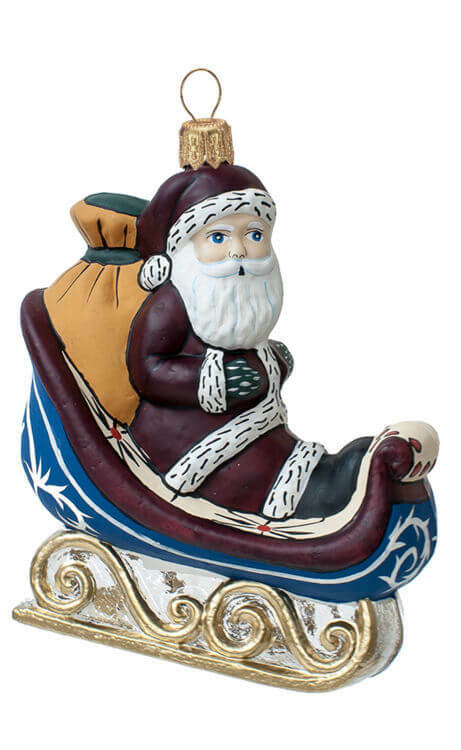 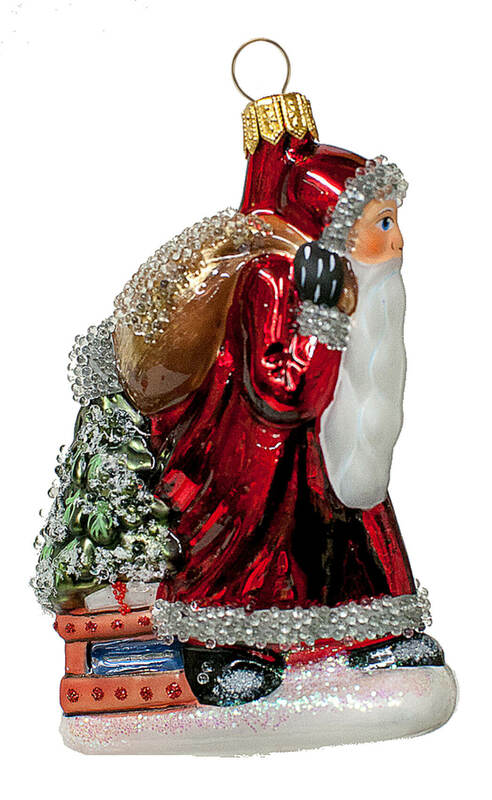 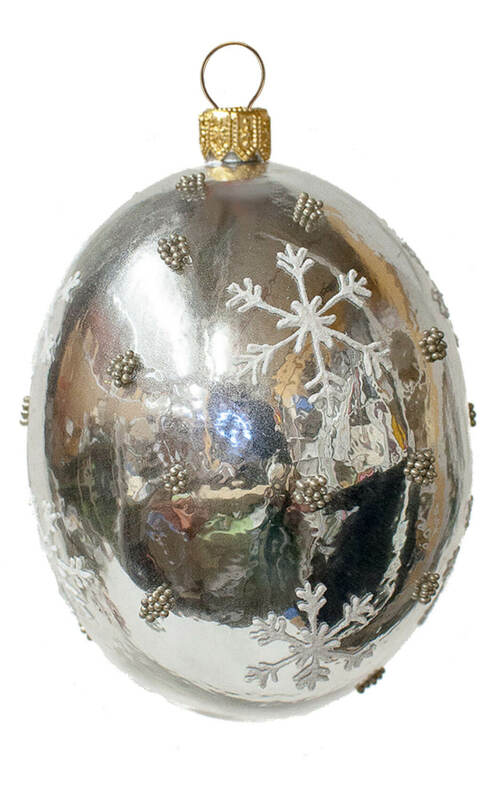 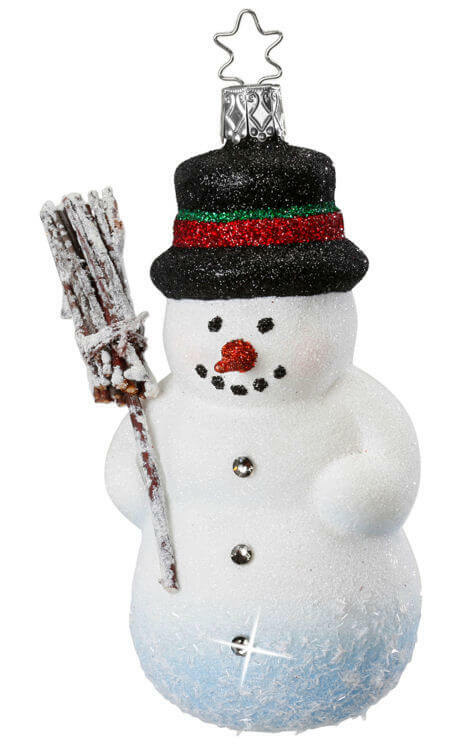 "Jingle Ball" Silver Snowman with Shovel was introduced in 2015 by Vaillancourt Folk Art® as part of the "Jingle Balls™" Collection. 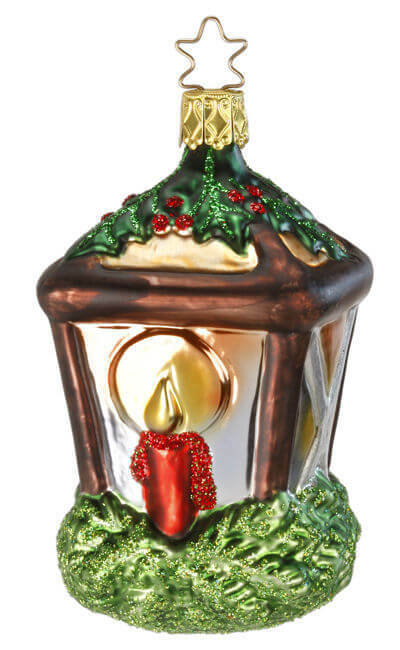 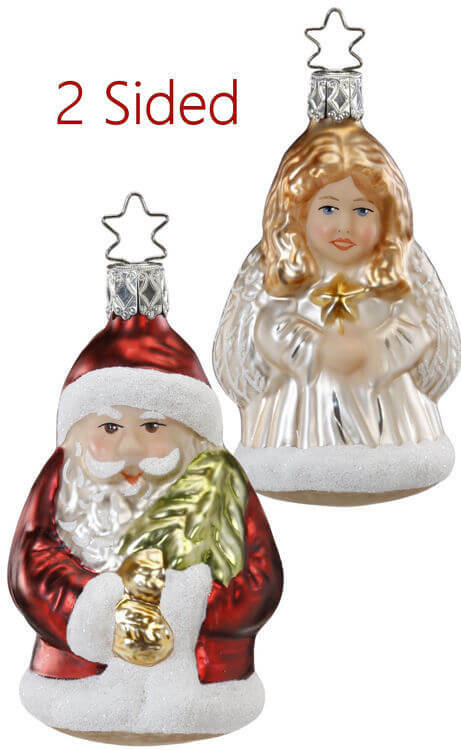 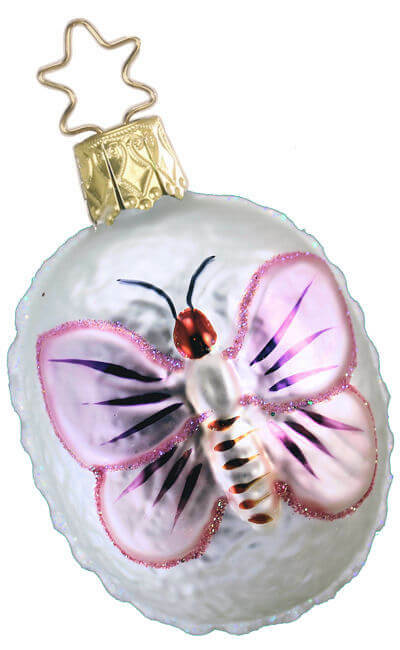 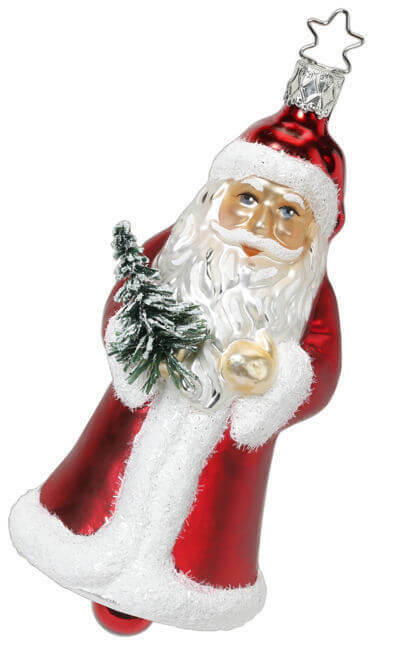 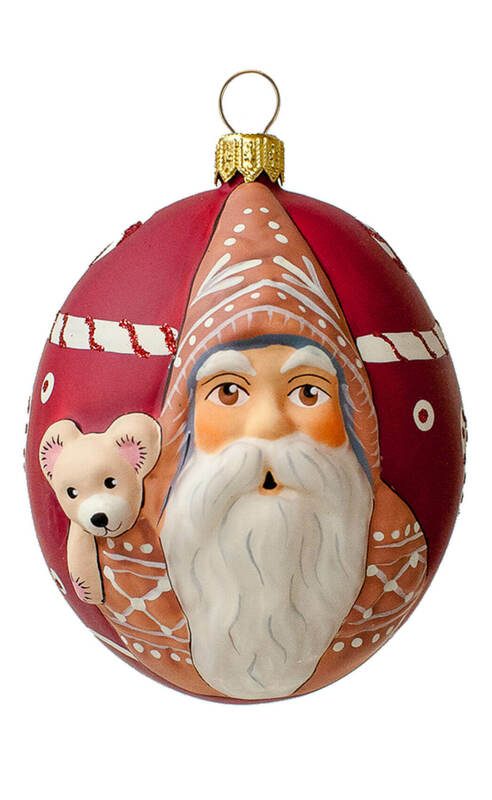 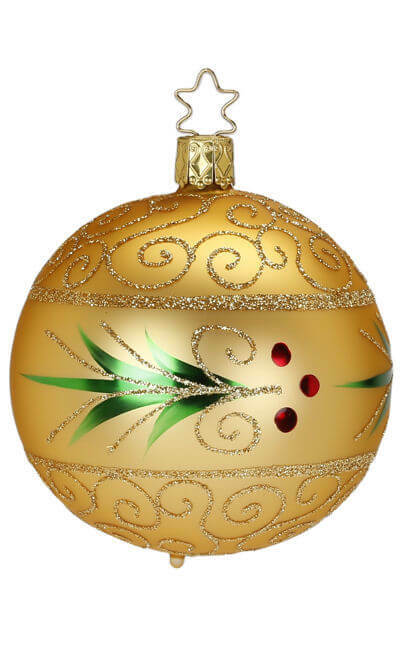 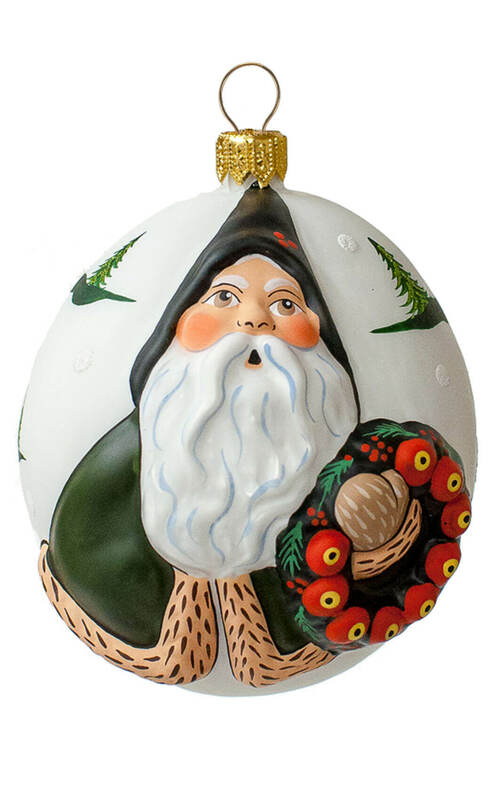 This unique glass Christmas ornament has been lovingly mouth blown and hand painted in a small Polish studio where glass making has been a tradition for generations.